It’s an invaluable tool for aerobic conditioning and rehab. It’s an easy way to work around knee pain, back pain, get lean and just give your body a break from heavy weights. It’s in the CrossFit Games every year. You know about the importance of hydration already and how vital that is, especially in the summer months. 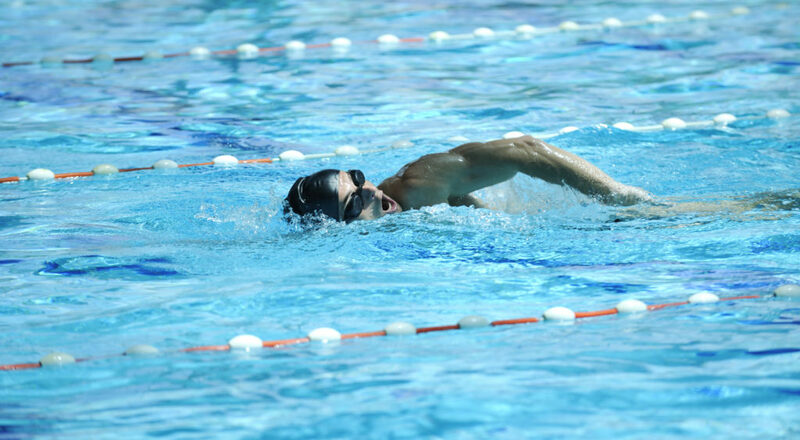 Assuming you know how to swim, (we’ll be giving you some tips and drills to hone your technique in the coming months) if you’re not sure where to start here are a few ideas. Each session is broken up into a traditional swim session and a swim WOD, and then ranked based on your ability level. If you’re making your swim a training day, do the swim plus the swim WOD. 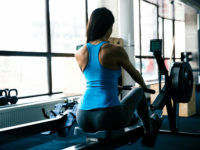 If it’s an active recovery day, you may want to just pick one or the other and try to limit the recommended sprinting (stick to that 75-85 percent range instead) and just get your heart rate going. 2x 100 yd off stroke (anything but freestyle) swim working on technique for the first 75 yd and sprinting the final 25. Note: If you’re dealing with a knee injury, you may want to avoid breastroke kick. 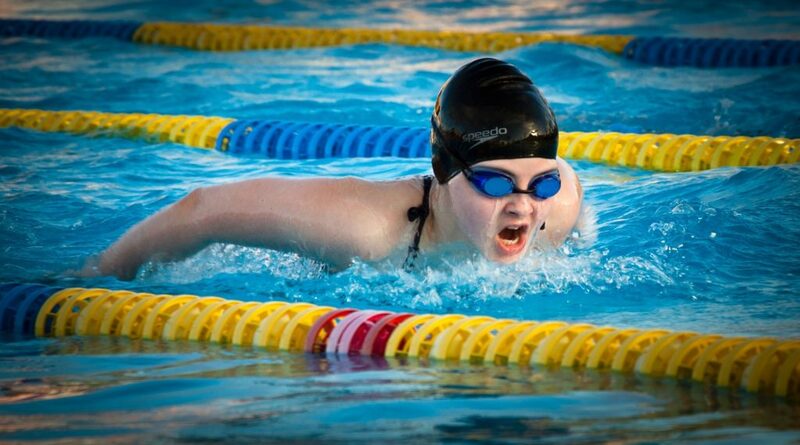 You can avoid the stroke completely or do a breastroke stroke with a flutter kick. Rest 2 minutes 4 x 100 IM (25 butterfly, 25 backstroke, 25 breaststroke, 25 freestyle). Working on stroke technique. 30 seconds rest between each. 3 x 100 yd backstroke at a building pace (easy, medium, working up to a hard pace at the end) resting :25 seconds between. 4 x 100 IM (25 butterfly, 25 backstroke, 25 breaststroke, 25 freestyle). Working on stroke technique but keep a solid effort (75-85 percent). 30 seconds rest between each. 30 sec hollow body hold. *If you are concerned about the underwater swim, do this with a buddy. Don’t have access to a pool? Swimming bug your shoulder? 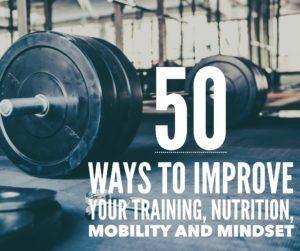 Here are some ideas if you’re dealing with an upper body injury as well as general mobility and assessment. Smarter athletes are stronger athletes! LIFT IDEAS (upper body injury): Find a safety bar if gripping a typical barbell is an issue. Back squat, front squat, deadlift (if this won’t irritate your upper body injury), hip thrusts, glute bridges, split squats, good mornings, single leg deadlifts, lunges (using dumbbells, back rack, front rack), back extensions, hip extensions, reverse hypers, sled drags, sled/prowler pushes, banded hamstring curls. You Hurt Your Back…Now What? conditioning, injury, prehab, rehab, swimming. Bookmark.